UK-based examination board, NEBOSH, will be attending Global HSE 2018 Conference and Exhibition in Kuwait on 12–14 February 2018. This two-day event focuses on driving business excellence through health, safety and environmental culture. It aims to create a safe and sustainable future through business excellence. Delegates can also find out about the latest products, solutions and services available at the exhibition which runs alongside the conference. 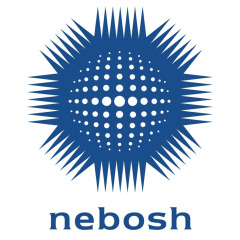 NEBOSH invites any employers, potential students and training providers attending, to visit Stand A15 to find out more about its globally recognised qualifications and the benefits they can bring. You can also discover NEBOSH’s brand new qualification for the process industries; the NEBOSH HSE Certificate in Process Safety Management. Developed in partnership with the Health and Safety Executive – the UK regulator – this certificate-level qualification has been designed for high hazard industries where process safety management is critically important. For more information about the NEBOSH HSE Certificate in Process Safety Management and its range of other qualifications, please visit https://www.nebosh.org.uk/PSM or visit stand A15 at the show. For further information about Global HSE 2018 Conference and Exhibition or to register, visit http://globalhse.org/.